The Rev. 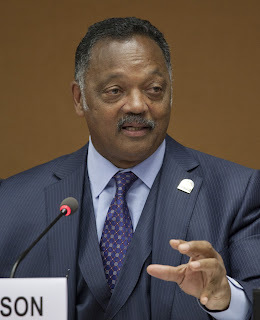 Jesse Jackson will celebrate his 71st birthday on October 8 and the folks at Chene Modern Bakery (17041 W. Warren Ave.) in Detroit's Warrendale neighborhood have been selected to create his birthday cake, according to a post on the bakery's Facebook page. This is the second time that this Detroit bakery has created a custom cake for Rev. Jackson's birthday. Rev. Jesse Jackson could conceivably get his birthday cake from any bakery in the free world. The fact that he has chosen to get it from here only confirms something that those in Detroit's Warrendale neighborhood have known for decades - Chene Modern Bakery is an amazing institution and a local treasure. I hope that Rev. Jesse Jackson has an amazing birthday next week. I also hope that he and his guests enjoy every bite of their cake.